Holding negotiations with the Labour leader has been described by former members as an ’emphatic capitulation’. Following the meeting a Labour spokesperson said both sides had agreed 'a programme of work to explore the scope for agreement'. 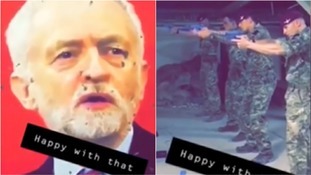 Corbyn was targeted in his constituency by John Murphy less than a week after Labour announced it would support a second Brexit referendum.